This week I wanted to create a recipe of my own using Snyders Pretzels. Something tasty you can snack on. 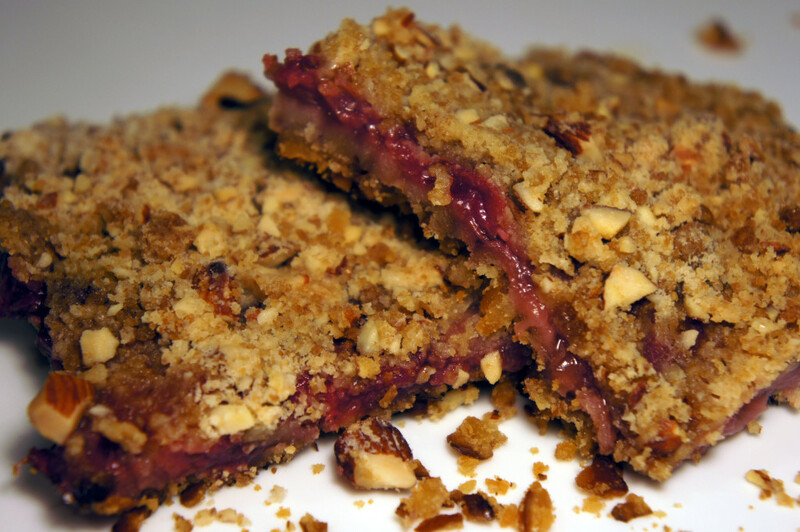 These bars can be made with any seasonal fruit I was just in the mood for some Strawberries. 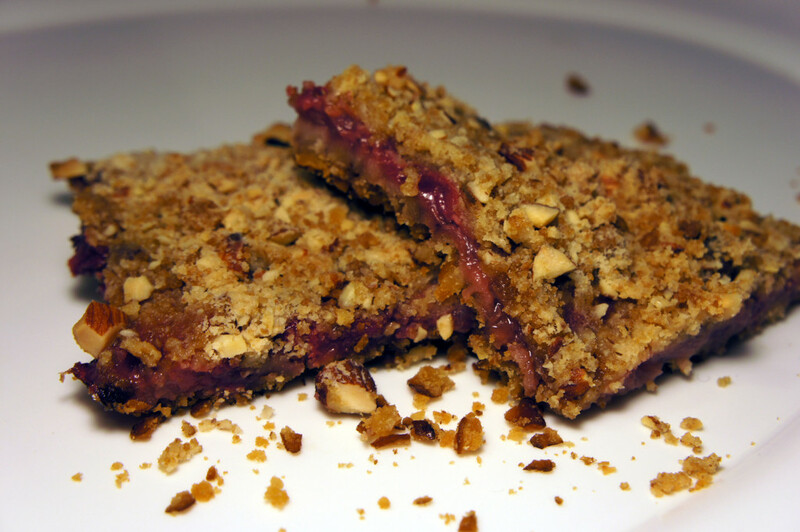 I also wanted to offset some of the sugar in this recipe by substituting it with Stevia. The first thing you have to know is that Stevia is different than sugar so you aren't going to use the same amount. Depending on the brand you used they have conversion charts on their websites so that you know how much stevia to use. When it comes to making snacks there is no reason why you can't substitue non-healthy ingredients for better ones. Using Snyders of Hanover Nibblers Pretzels in this recipe I was able to tone down the sweetness because the crust was salty. 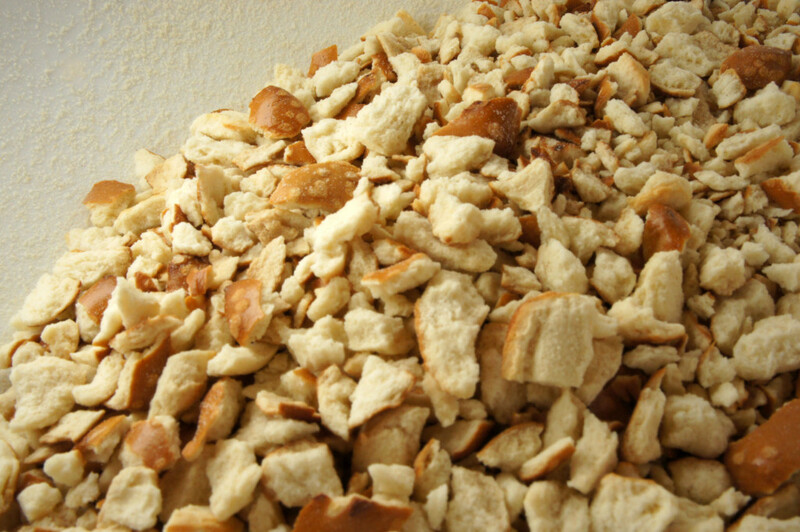 It's the perfect balance and has an amazing crunch to it due to the Pretzels and the Almonds. Try this this great recipe and tell me what you think! Preheat oven to 350 degrees. 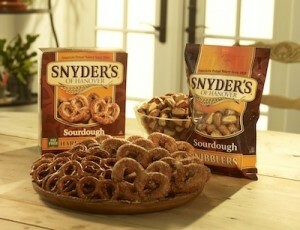 Crush the Snyders Preztels with a rolling pin or hammer in a gallon sized Ziploc bag until they are small pieces. Mine were slightly too big so try to get them smaller than what I have pictured. In a bowl mix the pretzels and the melted margarine. Spread the mix over a 9 X 13 pan to cover the bottom. Bake for 10 minutes and then let cool completely before adding the filling. While your crust is baking start prepping your filling. 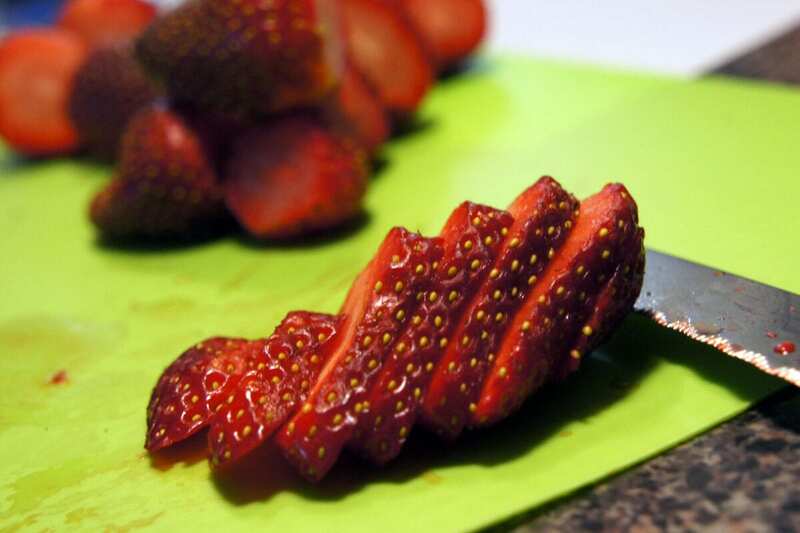 Slice strawberries and place in a large bowl. 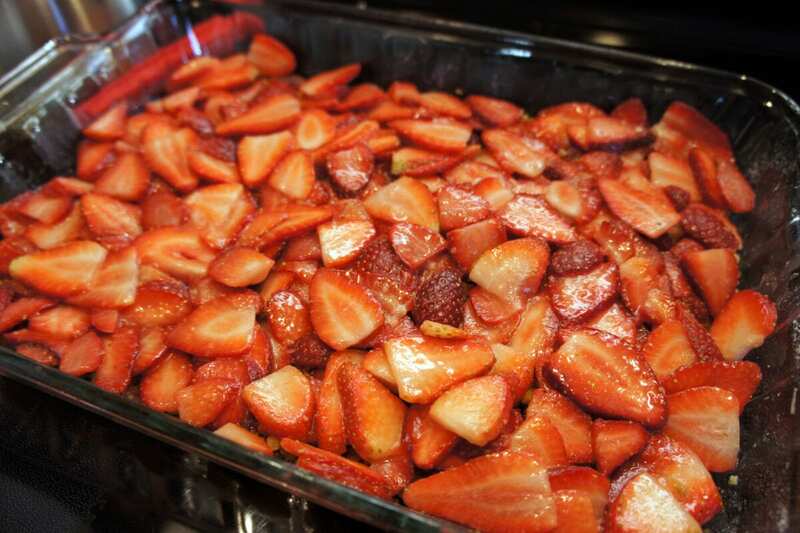 Add the cornstarch and the stevia in and mix until the strawberries are completely covered. Set aside. Preheat oven to 375 degrees. In another bowl combine the Flour, Brown Sugar and Almonds to the bowl. 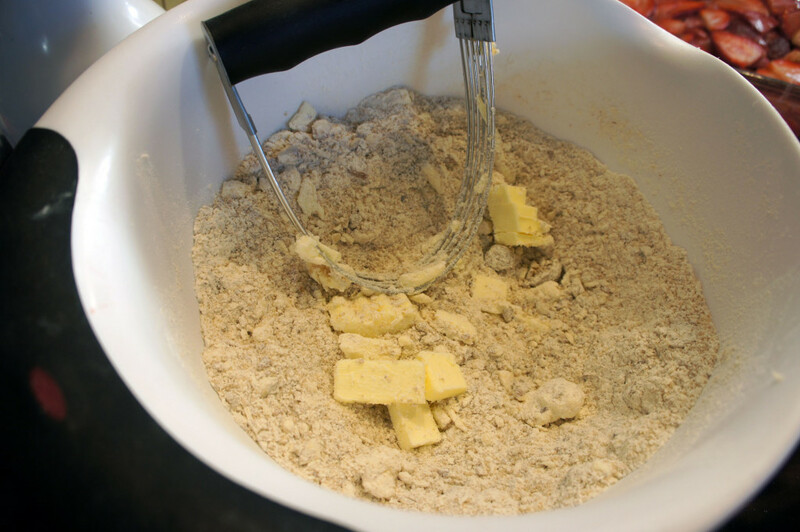 Cut the butter into pieces and use a pastry cutter to blend. After your crust has cooled pour the strawberry filling into the pan spreading it evenly over the crust. Sprinkle the almond crumble topping over the fruit to create the last layer. Bake for 50 minutes or until the crumble topping is a golden brown. Allow the bars to completely cool on a wire rack before cutting into squares. I wrote this blog post while participating in the SocialMoms and Snyder’s of Hanover blogging program. 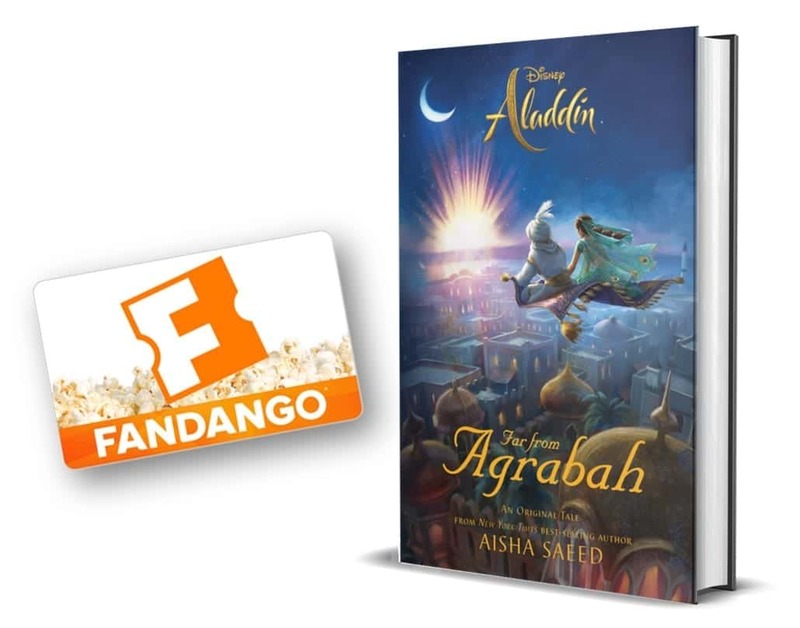 For more information on how you can participate, click here.